The Sweetella feeling is reflected in our high-quality food, but more than that, we offer an experience you will never forget. Our brand aspires to differentiate itself through the implementation of creativity, artistry and spontaneity in the preparation of desserts, together with the addition of a wide array of toppings and syrups. 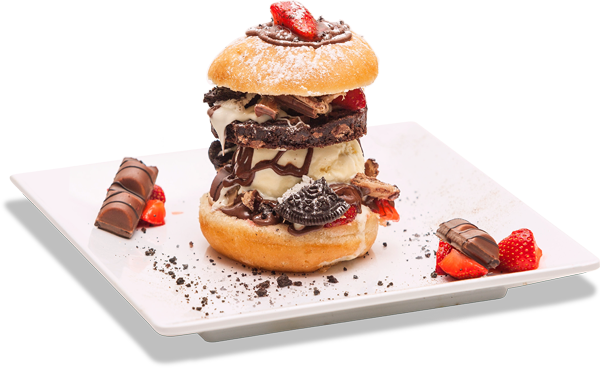 This is manifested through the preparation of Sweetella’s signature specials, such as the Double Waffle, the Three Steps to Heaven, the Sweetella burger and many more. Get creative and create an unique dessert! 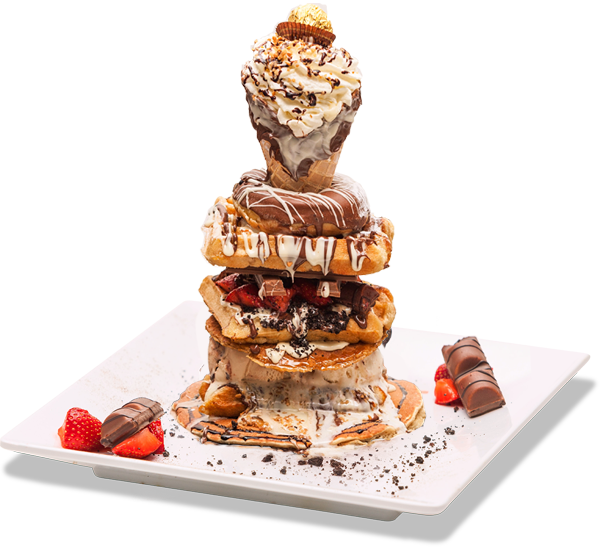 You can pick waffles, crepes, poffertjes, churros or any combination of them and add any flavour or topping you like. Take a look at our menu to find out more! This special dish is all about Holland. The typical dutch sweets are combined in this special. A combination of the delicious poffertjes (Dutch Pancakes) with our freshly baked homemade stroopwafel is amazing. You can add your favorite toppings on this amazing special. Nutella, white chocolate, whipped cream and some fresh cut fruit is a great combination. We all know the meat burger but this is even better 😉 A sweet burger. A fresh baked Berliner roll with Nutella spread all over the roll, a scoop of our best flavored icecream topped with an American chocolate chip cookie and Kinder Bueno cookie. Some sugar and fresh cut fruits and you have the Sweetella Burger. The best one in town! You can even make you own at Sweetella. Sharing is caring 😉 We invented an special that brings people together. One of our best specials to share with friends and family. A mix of our best dishes on plate. A double waffle with 2 scoops of ice cream and delicious crepe and a homemade donut topped off with the best toppings we have. Unique in the world and only at Sweetella. Sweetella is located in Amsterdam near Dam Square and Amsterdam Central Station. 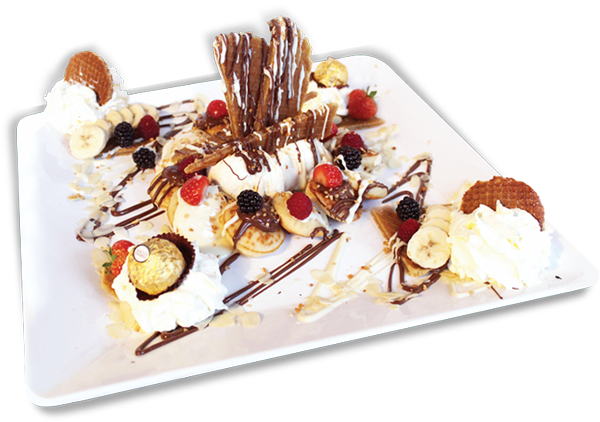 If you love sweets and chocolate and/or want to have a good time with friends or family of all ages then visit Sweetella at Warmoesstraat 53. If you have any concerns or questions then please contact us using the link below. Use the UberEATS app to get Sweetella delivered to your door! Find out how to order your favorite menu items online. © 2018 Sweetella. All rights reserved.